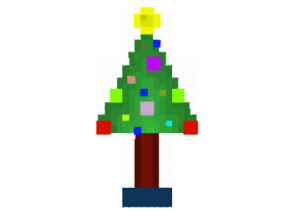 If you really want to create a full-fledged New Year atmosphere in the game, then New Year and Christmas skins for Minecraft Pocket Edition you will definitely need. Without them, you generally will not succeed. After all, we are choosing the actual fancy dress for the New Year’s Celebration. This is the same case. 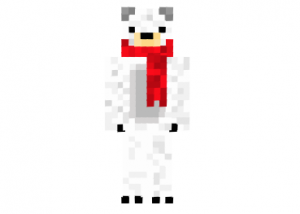 We have prepared for you holiday skins for the New Year and Christmas for Minecraft PE, which you can easily use. We have selected the most relevant for you, which also look adequate. Christmas Tree . It’s probably strange to be a tree. But, maybe for someone it will be relevant and interesting. Christmas Boy – a Christmas boy in Santa’s costume, but without a beard. Consider that this is the true page of Father Frost. The costume is generally universal and almost does not oblige. Christmas Polar Bear – a nice white bear in a red scarf. Perhaps, this is the most pleasant and smiling skin for MCPE. He will like everyone in general. As you can see, there is nothing superfluous and unnecessary here. Only the most relevant and interesting for all miners. Look at the screenshots, try it yourself in your game. 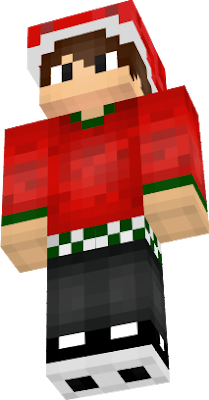 To do this, you need to download New Year and Christmas Skins for Minecraft PE for boys and girls and install yourself into the game. Well, just try. We are confident that these skins will be able to give the final notes to your festive atmosphere. It seems that’s exactly what you needed ?! You will quickly realize that without skins nothing would have happened. And with them everything is just cool. Ideally straight.